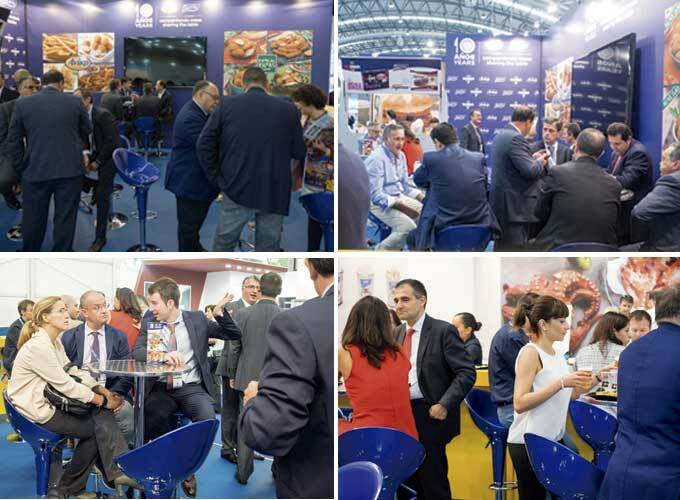 Great success of Eurofrits at the 19th edition of Conxemar, the International Frozen Seafood Exhibition, celebrated in Vigo (Pontevedra) last week. Our revamped stand, commemorating the 10th anniversary of our commercial alliance with AVIKO, saw many visitors interested in our company and the new products in catalogue presented at the exhibition. Retail distribution and franchise chains representatives alike visited our stand, along with customers and curious passers-by, for the entire 3 days that lasted the fair. We had meetings with all of them in order to give detailed information on all our specialties: Potato, Poultry, Meat, Fish, Sea, Croquettes, Typical Tapas or ChefBurger. Visitors were able to acquaint and savor our new products: our two new burgers (the Ibérica Burger, made from high quality Iberian pork meat and a key item to complement our ChefBurger range, and the Burger Supreme, an XL size that enlarges the Burger family of the Eurofrits brand), the four new arrivals in our Typical Tapas range (Cajun-taste chicken sirloin, Raclette Snack, Chicken breast delicacies and Cajun-taste chicken breast delicacies) and the delicious Philadelphia Crispy Snack. 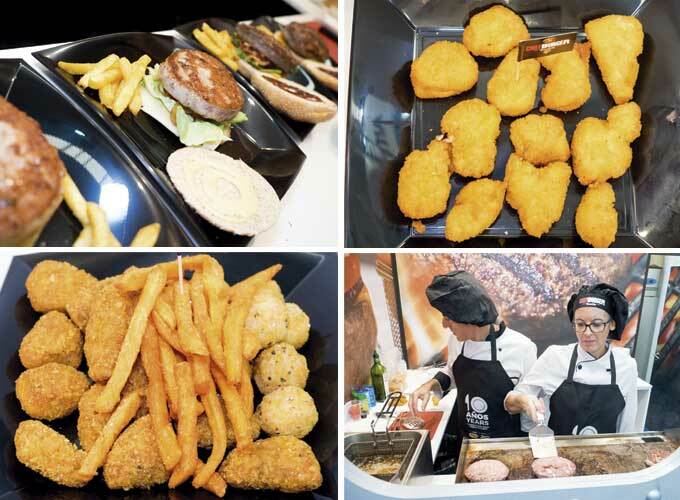 “All of them had a very enthusiastic welcome from the stand visitors, especially the Burger Supreme and the new chicken products“, the company says. A substantial Eurofrits team attended Vigo for the duration of the fair in order to present the new products. Representatives from the sales force, the departments of Logistics, Marketing, Purchasing, Exports or R&D, among others, were present at one of the key sector exhibitions. 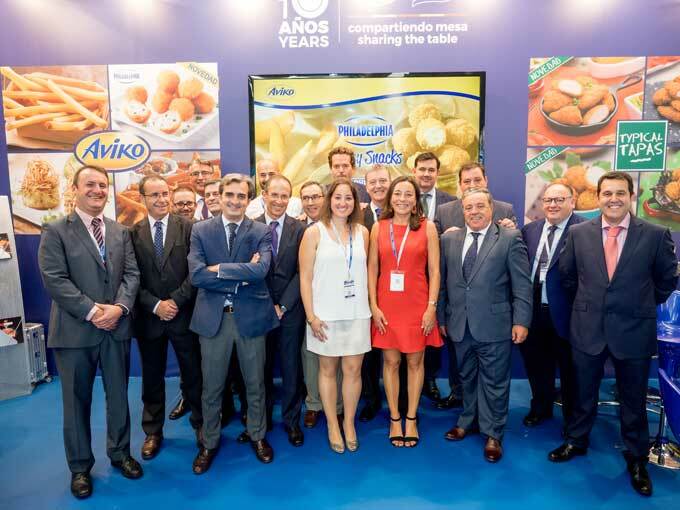 As a celebration of our 10th anniversary of the joint venture with Aviko, during the Conxemar fair we presented an special initiative: a chance to win a trip to Gran Canaria (travel & accommodation) among all the orders of a pallet of any of the new Aviko or Typical Tapas specialties. The lucky winner will enjoy the Cine+Food festival, a film and gastronomy event that brings together over 20 international cuisines. We would like to thank all visitors for attending our stand and the trust vested on us. Thank you!